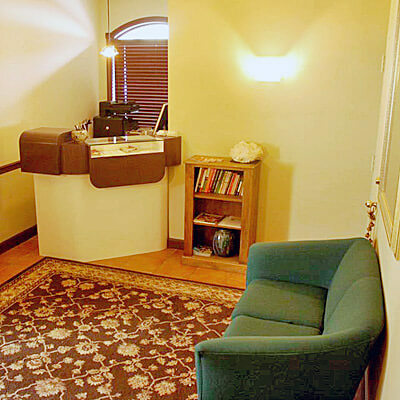 In practice since 1985, Dr. Bob Abbruzzese founded Abbruzzese Wellness in September 1986, serving the Briarcliff Manor and Ossining, Chappaqua communities with a natural approach to health care. At our chiropractic care center, which is mostly based on referrals from our happy, satisfied practice members, we look after the health of all ages. Often, entire families see Dr. Bob to have a problem addressed and to stay well in the future. Human beings are incredible, with the ability to be self-regulating and self-healing. This capacity requires spinal-neural integrity. As one of only two chiropractors in Westchester County certified in Network Spinal, Dr. Bob enhances your spinal-neural health with an optimally functioning nervous system that is free from any interference. To be the ultimate reorganizational healing and living center with a commitment to serving humanity with excellence. To assist the families in our area in creating extraordinary, vibrant lives while developing strategies and a resourcefulness so they can experience the joy, grace, love and abundance of life. If you’re new to chiropractic or are seeking out a practitioner with a unique approach, Dr. Bob would be happy to discuss any questions you have. Contact us today to learn more or to schedule your appointment! Payment plans are available.